This is beneficial for all students, including English learners, because it gets students discussing the content verbally. It gives students opportunities to take the content off the page and actually engaging with it kinesthetically, visually, and verbally, and it becomes a tool for language acquisition. Furthermore, Socratic dialogue is applicable in any subject matter, including ELA and social studies, because it gets students to build a framework for working with their own ideas and the ideas of others, and then to begin building a framework for acquiring new knowledge. By being deliberate and intentional with implementing a Socratic dialogue in your class, setting and maintaining expectations, and taking concrete steps to encourage students to begin to work with their own ideas and the ideas of others, you will start to change the culture of your classroom. There are 5 actions you can begin implementing right away to ensure that students are making the kind of lasting, meaningful connections that will result in real learning. Use a why-how-what model to ask questions. The art of the effective Socratic dialogue means that you have no choice but to move away from fact-finding questions, such as what is a goldfinch? What is friction? Who is Abraham Lincoln? toward higher-order questions. A good rule of thumb is if Google can answer it, it's not a higher-order question. To get more higher-order questions, it can be helpful to use the why-how-what model of questioning. 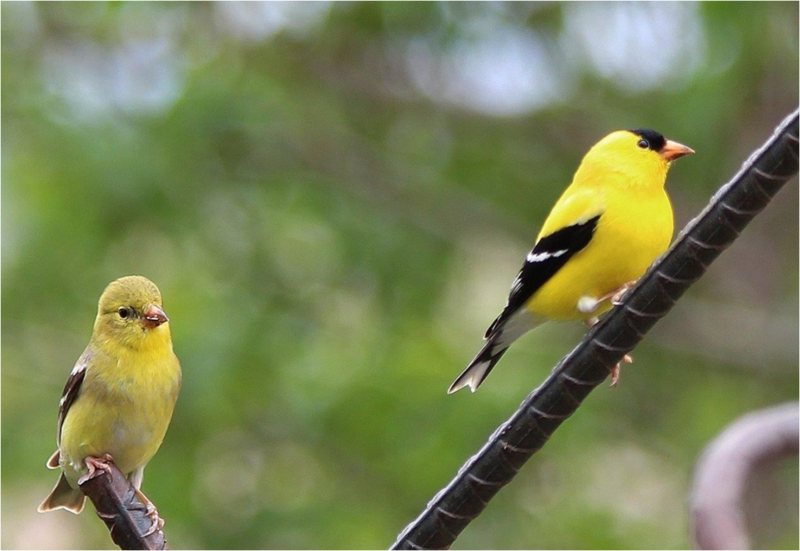 Let’s use an example with a goldfinch to explore heredity, traits, and adaptations. Begin with why: Why do you think the bird is called a goldfinch? Then ask how: How could being gold or yellow in color be helpful? End with what: What would it mean if our hypothesis that males and females have different coloring? What might that actually be useful for in nature? That's an example of why-how-what model of questioning. After each question, you would wait for students to respond, and then listen to their responses to determine how to follow up. This is the way you want to train students to think. It’s also important to ask questions so that you don’t unintentionally bias or set up an environment that does not create space for multiple or differing opinions. Identify your big ideas and organize them in a storyline. If you're a KnowAtom user, this is already done for you. A big idea is a key concept in the storyline, and it is important for students to develop an understanding of it as they move through the lesson. Remember that the big ideas come from the standards themselves, and they are connected through the nature of science itself as well as through crosscutting concepts. These standards are performance expectations that have life within a storyline that lives on beyond a single lesson or unit, and they should be taught in clusters so students can see the interconnectedness of ideas and concepts. Create 1-2 higher order questions around each big idea as a backup seed questions to help students transition through big ideas. These higher order questions should lend themselves to students’ thinking along the lines of a concept map. If you're acting as moderator, have one or two higher order questions around each big idea to help transition through them. When you think of transitioning through big ideas, think of it prompting students to make connections between the concepts. It’s best to avoid linear questions like: Are all traits inherited? Are all behaviors learned? That's linear. Nonlinear is more the why-how-what approach. It pivots at each of those next questions. Create space for students’ ideas. Remember in a traditional model of instruction, students aren’t typically taught to reason through their own ideas or the ideas of others, especially arguing from evidence. It takes time, careful listening, placing aside judgment, and taking students’ ideas seriously to get them to open up and embrace a Socratic dialogue. Be OK with 10 seconds of silence. If you begin to create a culture of Socratic thinking in your classroom, then over the course of 10 weeks, it starts to become the way that students operate as scientists and engineers in the classroom. They begin to think about connections to past learning or their own lives, and how the concepts being explored in the classroom connects to the world around them. This embodies the intent of the new science standards, and leads to real learning in the classroom.